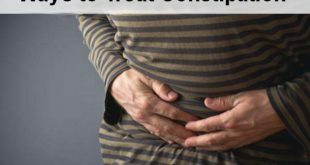 Home / Health / How to Get Rid of Diarrhea? 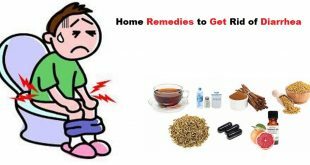 This articles is about diarrhea and remedies to get rid of diarrhea. Getting diagnosed with Diarrhea and suffering from it can be really troublesome. Diarrhea leaves you exhausted and drains you of all the energy and the essential nutrients in the body. We all tend to suffer from Diarrhea at some point of time. 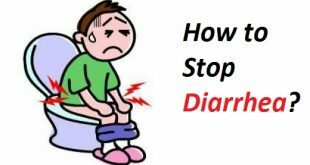 Though diarrhea is not exactly a serious disease if ignored it can definitely develop into something serious in the human body. Diarrhea happens when there is an innate need to pass stools; the urge is so high that you canвЂ™t control it. 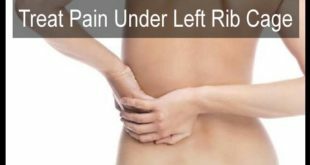 This is often accompanied with acute pain in the stomach and you tend to pass stools several times in the day when you suffer from Diarrhea. It is not just important to get hold of medications to get rid of diarrhea, but you also have to take a lot of precautions so the condition doesnвЂ™t become worse and the infection doesnвЂ™t happen again. Food allergy вЂ“ There are many times when the body doesnвЂ™t accept certain food items. 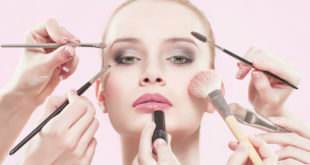 When an allergy like this happens the body starts throwing the food products out of the body and this causes diarrhea. Intestinal diseases вЂ“ Intestinal diseases lead you to suffer from severe bouts of diarrhea very frequently. A very common intestinal disease is an irritable bowel syndrome, which affects the stomach badly and causes a lot of discomfort. Contaminated water вЂ“ Water which is contaminated with bacteriaвЂ™s can become of the most common causes for diarrhea. One good solution to stop diarrhea is to always have purified and filtered water. Carrots are not just good for your eyes, but help to get rid of diarrhea and cure it really fast. It also supplies the body with essential nutrients which help the body to recover faster from a bad bout of diarrhea. To cure with carrots, take one cup of water and put it to a boil. Take two carrots, cut them and boil them in this water. Add a bit of salt as well. Have this solution when itвЂ™s warm and not burning on the tongue. Carrot soup helps to get rid of diarrhea really fast. A banana, when mixed with other food products, helps cure a lot of stomach problems and not just diarrhea. Eating a banana alone can also help as it high pectin content helps to get rid of diarrhea really fast and helps the body to recover. Just make sure to sue an unripe banana and mix it with some nuts or yogurt and have at least twice every day. Banana works as magic in getting rid of diarrhea and provides relief to the abdomen. Peppermint helps soothe your body like nothing else can. It acts as an excellent cooling agent providing a lot of relief to that over exerted stomach. To benefit from peppermint, just take a few peppermint leaves, wash them well and place them in a cup of boiling water. Leave this to boil for sometime till the juices from the leaves have dissolved well into the water. Have this drink when itвЂ™s warm and not hot enough to hurt your tongue. Having peppermint can help you to get rid of diarrhea really quickly. Many people avoid eating white rice because is tasteless and very bland. However, eating plain white rice without any accompaniment or sauce can work wonders on that bad cycle of diarrhea. White rice helps in hardening the stools and provides relief in getting rid of diarrhea in a few days. Have plain white rice at least once or twice a day and see how quickly it helps heal diarrhea. Many people think that yogurt is sour, but the good bacteriaвЂ™s present in it help a lot in calming the system and providing relief. While taking yogurt, remember not to take pre flavored yogurt. Just take yogurt and add a few pieces of banana to make it tastier. Have this at least twice a day to get rid of diarrhea. 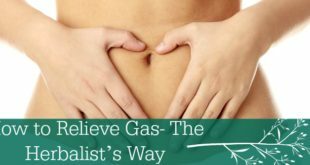 It will help provide relief and soothe the digestive system. Take gooseberry and black salt in the same quantity. Now soak gooseberry in a little water till it becomes soft. When soft, add the black salt to it and let it sit like this for some time.В Crush the gooseberries to a thin paste and make small tablets out of this with your hand. Put the tablets in the sun for some time and let them dry naturally. Take a tablet every day 30 minutes after food and then drink a little water over it. If you are suffering from abdominal pain, you can take the tablets with hot water to get relief. Do this at least once every day to get rid of diarrhea. Apple cider vinegar is a great remedy for getting rid of a number of stomach and skin problems. It is a magic potion to kill those harmful bacteriaвЂ™s and helps fasten the healing process. To benefit from apple cider vinegar, take a teaspoon of the vinegar and follow it up with a glass of water. Alternately, you can dilute one teaspoon of vinegar in a glass of water and drink this solution. Take this at least twice daily and continue till your condition becomes better. Apple cider vinegar helps in killing those bacteriaвЂ™s provides a great amount of relief to the stomach and intestines. Due to a high content of mucilage fenugreek seeds help in getting rid of those bacteriaвЂ™s and helps to get rid of diarrhea really fast. It helps to stop the bad effects of diarrhoea almost immediately and thatвЂ™s one reason why even doctors recommend it as a great remedy. Just have a spoonful of fenugreek seeds as it is if you can or add a little yogurt to it. You can also add a little cumin to enhance the taste and make it an effective remedy. Chamomile tea helps in reducing the abdominal pains really fast. 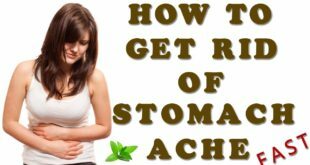 It works on the aggravated parts of the digestive system and helps get rid of diarrhea quickly and effectively. Just take a little chamomile tea and boil it in a cup of water well enough. You can add a little lemon juice as well to add to the taste once itвЂ™s off the heat. If you are not a fan of chamomile tea, you can take lemon juice as well to get rid of abdominal pains. Take 12gms of fennel seeds, 6gms of white cumin and 12gms of sugar. Now blend them together to make a fine powder. Take 1 tbsp of this mixture daily, once in the morning and once in the evening. It helps a lot in cooling off that stomach and helps in getting rid of the abdominal pain instantly. 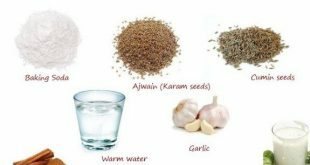 This treatment not only helps in getting rid of diarrhea and has been known to be very effective in getting rid of any stomach problem. Try it next time and see the instant relief you get. Black seed is an effective remedy for a lot of digestive problems and helps to soothe the stomach in a short time. Not surprising that it helps to get rid of diarrhea as well and helps provide instant relief. When suffering from diarrhea stop those dairy products altogether. Whether you are a lover of milk, cheese, butter or other dairy products eliminate them completely during diarrhea. Milk products can increase that infection and aggravate it. So stop those dairy products from your diet during a bout of diarrhea to settle it. Ginger is not just good for those throat and cold problems but works extremely well in healing that abdominal pain and relieving the cramps associated with diarrhea. 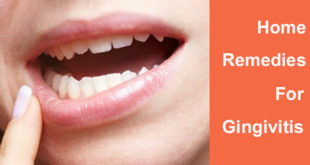 To take maximum benefits from ginger, just grate a little piece of ginger and mix it with a little honey. Eat this concoction and avoid having water immediately after this. It may be a little strong on your tongue, but will help to get rid of that bad bout of diarrhea. 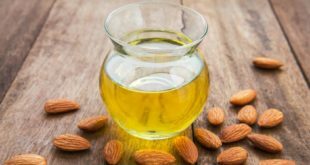 This wonderful oil has been known to be every effective in getting rid of gas, constipation, asthma, colic and diarrhea as well. It helps to provide a lot of relief against the pain and helps in easing out all the other symptoms as well.В To benefit from black seed oil here, just mix a teaspoon of black seed oil in a cup of plain fresh homemade yogurt. Mix this well and eats this mixture at least twice a day, preferably at lunch and dinner. Do not take more than twice a day and always be sure to mix the black seed oil and the yogurt really well. Taking precautions here is essential. Remember, to have a lot of fluids when you are suffering from diarrhea. Spicy, heavy, junk, and oily foods should be completely stopped as these can be really harmful to the stomach. 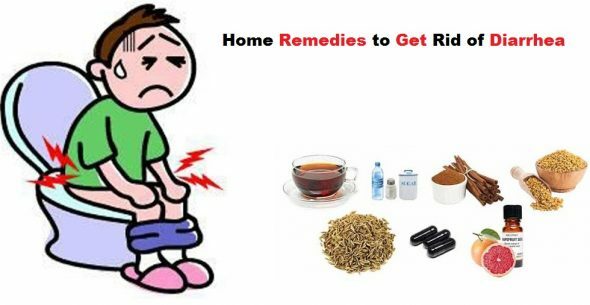 Practice these home remedies till you get rid of diarrhea completely. 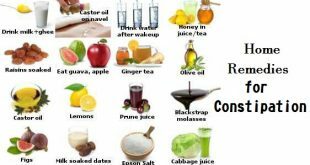 However, if you see symptoms like dark urine, dry skin, fast heart rate or headaches it is time to stop these home remedies and rush to the doctor. 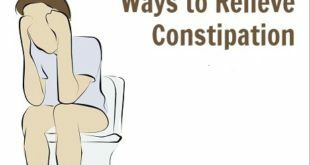 Take an advice of a professional doctor who would prescribe you some effective over the counter medications to get rid of diarrhea in a few days time. Apart from this take all the other precautions as well and just take as much rest as you can. Taking adequate rest is the best way to get rid of diarrhea at the earliest. 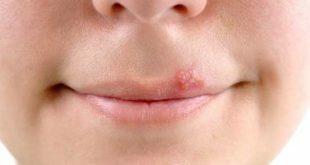 Previous How to Get Rid of Canker Sores Naturally? 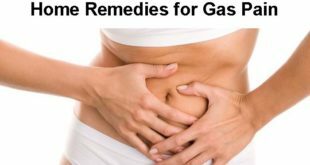 Next How to Get Rid of Gas?